I can't believe we are already a few days into September and it is time for the next AAA Cards challenge - Creatures great or small! I am not as far along with getting holiday cards made as I had hoped so I decided to make one for this challenge. This color layering stamp is great. You get such a realistic look with it. 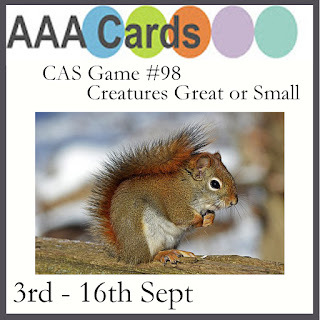 I'm also entering this card in Sparkles Christmas challenge #80 - Christmas Animals. I hope you are able to play along with us! Also, if you can, stop by the rest of the DT and check out there designs. They did an amazing job with this challenge :) Thanks for stopping by. Beautifully stamped - layered stamps are not easy! Loving those ornamanets on the antlers, fabulous touch. This is a stunning card, Cheryl! I love it! The colours you chose for the deer are perfect and so realistic - and doesn't that delicata ink stamp nicely?! I thought it was embossed until I read your post! 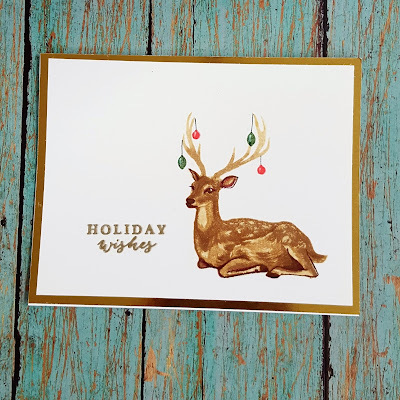 The deer looks like it was colored not just stamped! Very sweet. I love colorful ornaments and metalic sentiment too. What a clever idea to heat emboss the metalic ink! Thanks for sharing this pretty warm holiday card, Cheryl. You've done a fabulous job at your layered stamping. I always struggle with this technique. And, I just love the name of your blog. Cute! 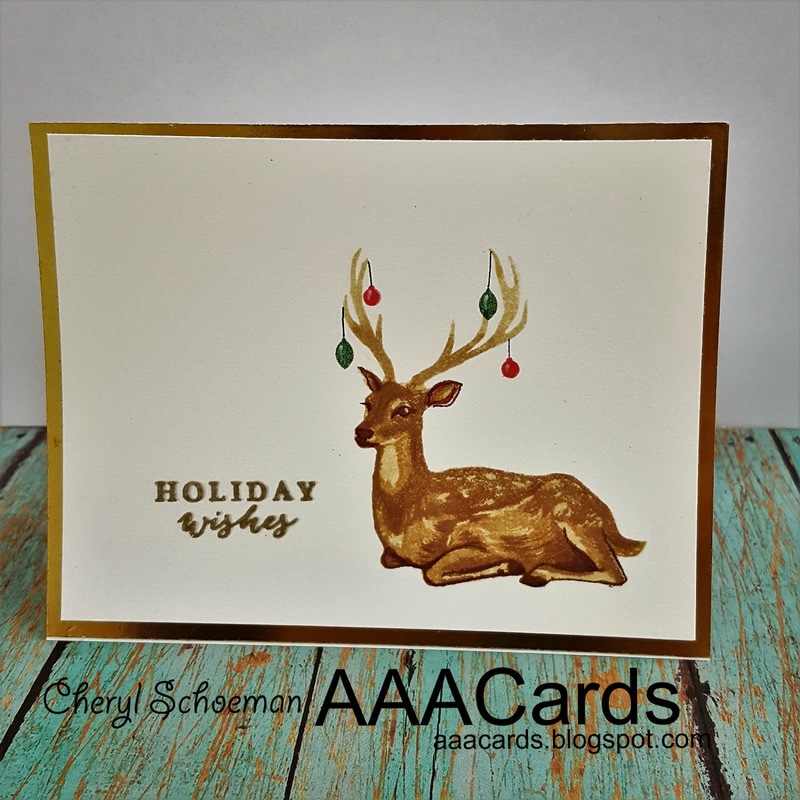 Hi Cheryl, your Christmas card with the deer is beautiful. I love how you have coloured the deer. Thanks for playing along with us at Sparkles Christmas. Caz DT.